I'VE GOT MY OILS, NOW WHAT? First of all - congratulations on giving yourself the gift of essential oils! Most companies have their own websites where you can search by specific oil or blend for some additional info on that oil (as do we, just search 'doterra wild orange' and you will see product specs), but it’s all of the additional extra Q’s you may have that I am here to help you with. This includes companion products, resources and literature and even a few free eBooks and guides to help you out. My worst nightmare is your oils are sitting on the shelf gathering dust, which means you aren’t experiencing their incredible value. So here are my top oily resources and companion products that will help you IMMENSELY. 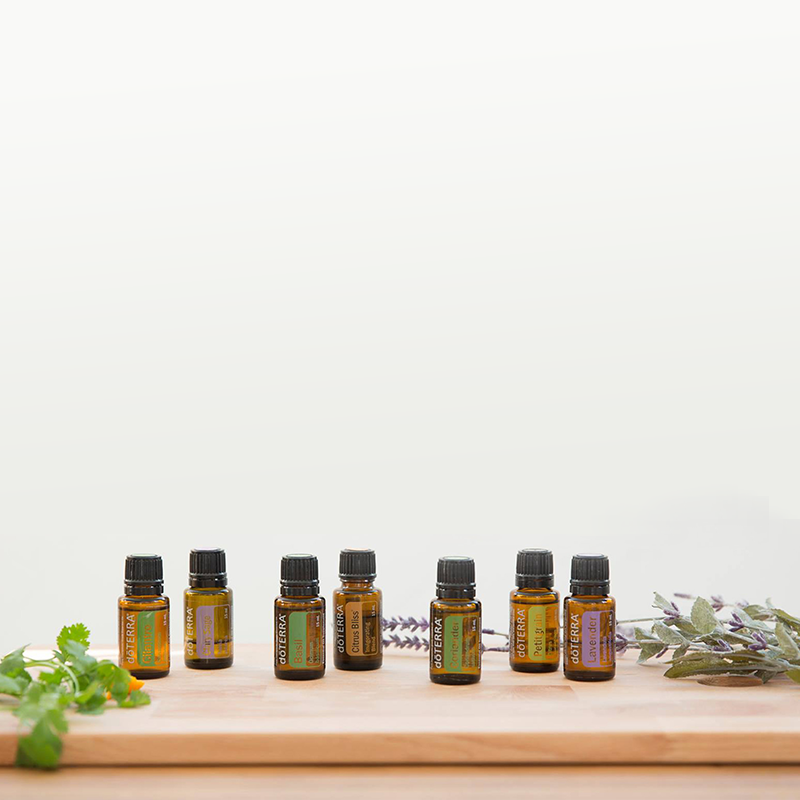 Absolutely start here if you have just picked yourself up the doTERRA Home Essentials Kit (or the Essentials Collection). This is a simple, condensed version if you prefer. If you’re unsure of what oil to use to support an ailment, body system or to benefit your body or emotion, you need only to search within the app ailment, body system, or emotion and see the oils that will be beneficial for that. For example: if you, a friend or child suffers from eczema, you can search 'eczema' and it will come up with a variety of different oils for you to choose from. It also helps in dilution quantities and application methods which is super handy! I’ve used it to create blends for anxiety, acne, arthritis, dandruff, gastro, sinusitis, you name it! Modern Essentials Book: You can also purchase the Modern Essentials Book, which is a much more in depth version of the App and a wonderful resource to keep in the home and grow your knowledge. Lots of science related information if you like that. It is a little heavy to just chuck in your handbag, and is around $35 + p&h. Emotions and Essential Oils Book: A polar perspective on the oils compared to the Modern Essentials resources, this book digs deep into the emotional aspects of essential oils. Essential oils are widely used for their physical health benefits, but few have understood the entire scope of their healing capabilities. In Emotions & Essential Oils, essential oils are introduced as powerful emotional healers. This groundbreaking book bridges the gap between the physical and emotional aspects of essential oils and creates a user-friendly guide for taking charge of your emotional health. Each oil is written about with insight and understanding of its innate properties and gifts, and is actually an inspiring read regardless of the oils! I know many people who use this book to create aromatic anchors for themselves. This can be done by choosing a single oil based on its emotional support value, such as Wild Orange Oil for abundance, or creating a specific blend, such as Lavender – the oil of communication – & Frankincense – the oil of truth and light. I'm so pleased to tell you that I now have range of amber bottles and DIY products for sale on my shop! No need to go shopping around and getting all your supplies from multiple outlets. Free DIY and recipe guides: Gratefully supplied by the humble Alice Nicholls, here are some quick guides to get you started!! I have a few quick recipes over here too. Dr. Bronners Unscented Mild Liquid Castille Soap. This 1L bottle will last you for months. I use this in my hand and body wash and cleanser. Witch Hazel - you can use the one at the supermarket or I have a great organic alcohol free alternative on my shop. Organic Carrier oils. I use jojoba oil as a carrier for my face serum. I use coconut or almond oil for my body oils and massage oils. Most people tell me they struggle to find these items in bricks and mortar stores so you can now find them on my online shop. You will also find a range of amber bottles available on my shop too! Official doTERRA Product Tips Blog An excellent place to learn about product promotions, product features or product success stories. Official doTERRA AU/NZ Facebook Page The best place to connect with dōTERRA on Facebook, get product information, and to connect with dōTERRA product fans, friends and more. 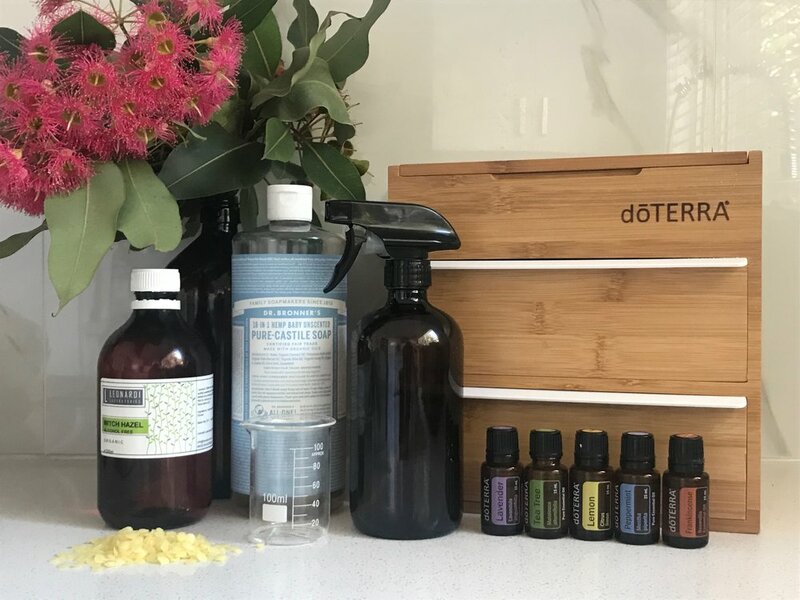 Official doTERRA AU/NZ Instagram Page The best place to connect with dōTERRA on Facebook, get product information, and to connect with dōTERRA product fans, friends and more. doTERRA incentivise those of us who want to place a small monthly order by gifting us points ‘pv’ to spend on free oils. I like to call it my monthly wellness box! It’s an incredibly generous program. You can cancel it at any time with a phone-call. There’s no minimum monthly spend, no contracts, and you’re in complete control of whatever it is you want to order. Most people using the LRP are customers who are replacing oils they use the most, growing their collection or buying their ‘monthly use’ household and care items from doTERRA and reaping the benefits of points for free oils along the way. (doTERRA sell laundry concentrate, cleaning concentrate, toothpaste, etc). After some quick oil recommendations? Smart N Sassy (Slim N Sassy outside of Australia) - metabolic blend - bye-bye cravings! Whisper - your new no-tox perfume! Lifelong Vitality Supplements!! - they are world class, and have a 30 day money back guarantee - don’t see any results? Get your money back! Over 80% of our database don’t choose to share the oils or grow a business by partnering with doTERRA and that is totally fine! We love our customers. Create a financially abundant business simply by sharing the oils with others and changing lives. When you purchase, you will be connected with that person that you purchase with. They will be your first point of contact in introducing you to the oils and the business opportunity. In this case, that person is me! We have team training, BizCamp (4 weeks to kick start your biz! ), Facebook support groups, business training and personal support from not only myself but also my upline of Alice Nicholls and Tara Bliss...! Use & love your essential oils! Chuck the diffuser on, try one as a perfume, make a little handbag stash.. This is where you’ll start to understand why we have a 65% customer retention rate, one of the highest in the industry. Get growing your business! I’ll tap you into all the resources mentioned above so you can start learning. Share them verbally with people in your life, let people try them. Book your first class (I can help with this if you like). We’ve seen that people who teach classes and enrol others within their first 3 months have the highest ‘stickiness’ in the business. They progress faster and give themselves more momentum. And of course, if you need help or support just reach out.